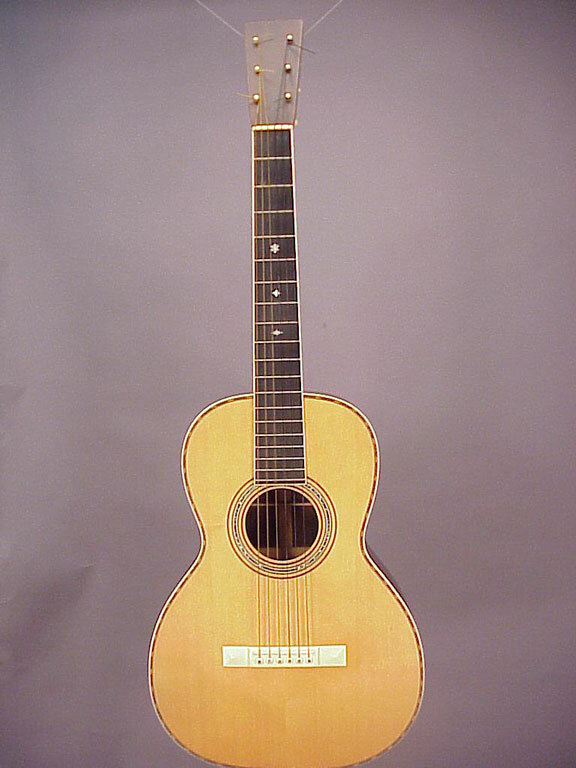 You don't see a lot of the style "34" Martin instruments, although they are among the most visually appealing, in my opinion. 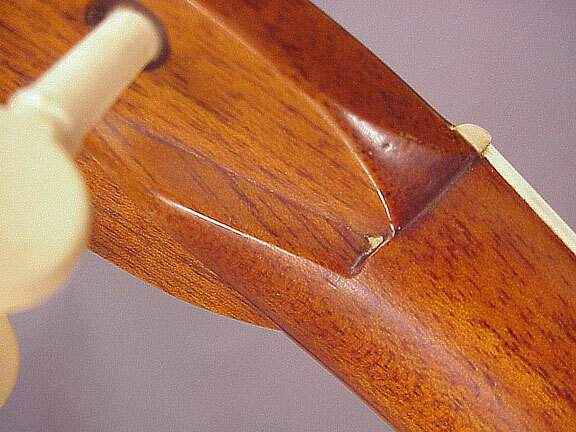 Made in 1901, this guitar is trimmed with genuine ivory binding, and sports a solid ivory bridge and ivory pegs. 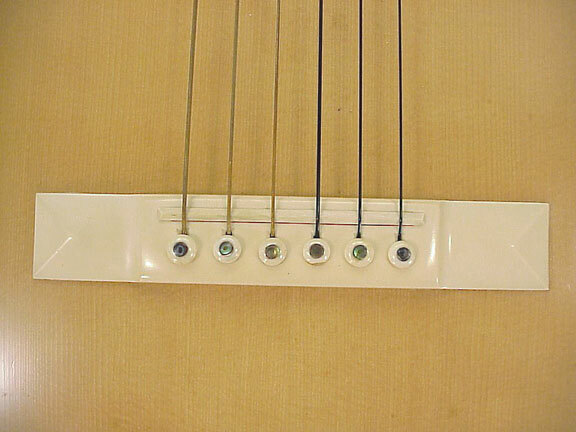 In fact, all the white material on the guitar is natural elephant ivory. 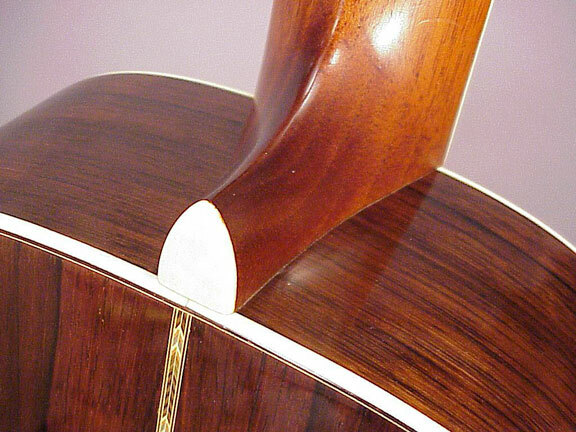 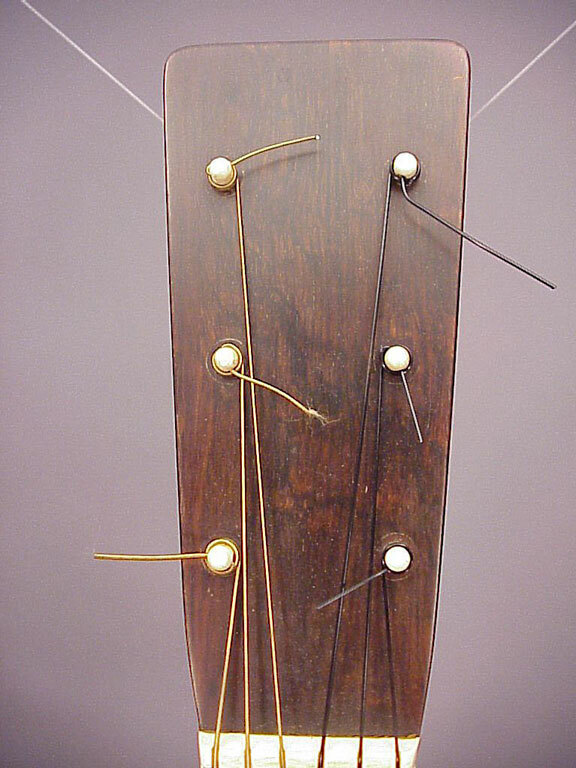 It has an unusual top purfling and backstrip marquetry, as compared to the more common style "28" series. 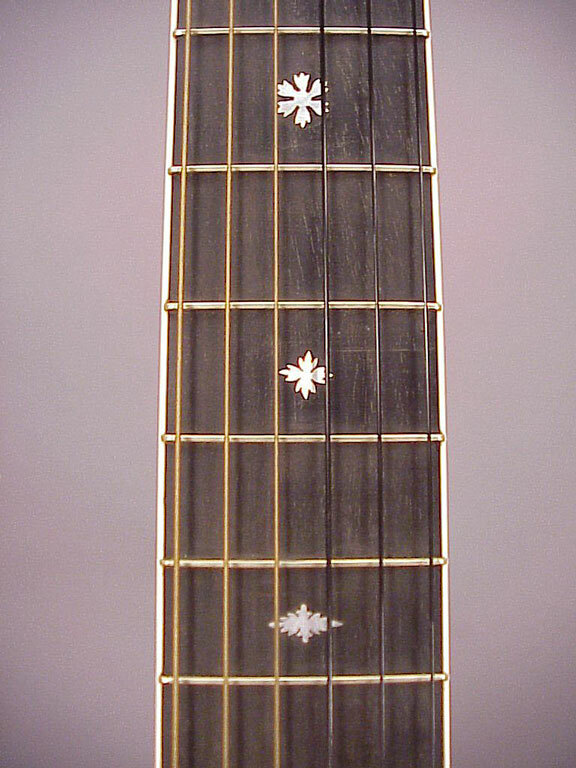 Brazilian rosewood back and sides, Spanish cedar neck, ebony fingerboard, and spruce top. 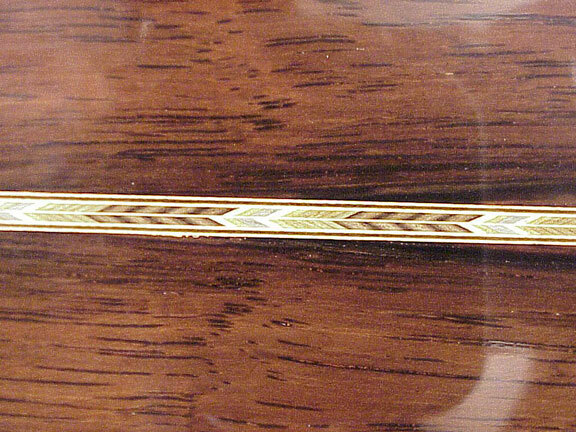 This example has survived in essentially new condition, as has its original tooled leather case. 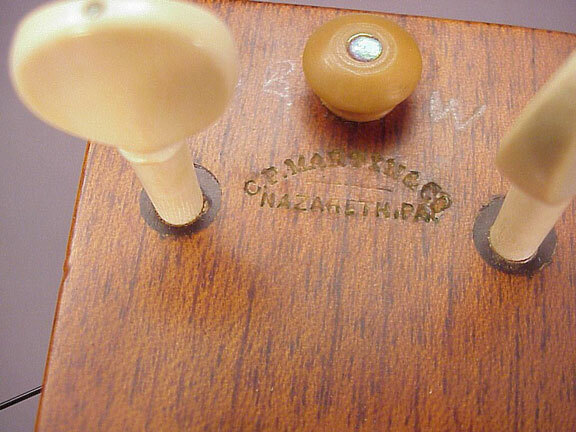 Even the original bridge pins and strap buttons are present. 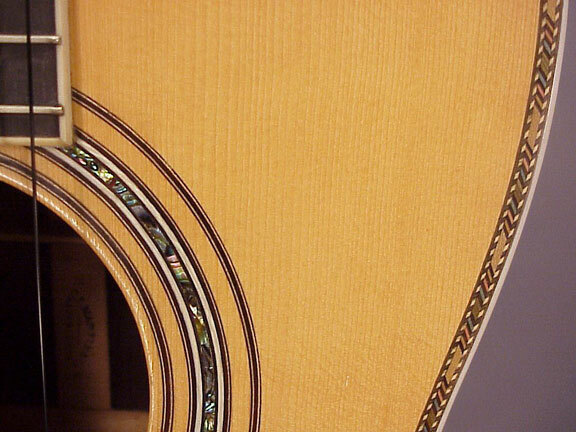 Read more about the old Martins here. 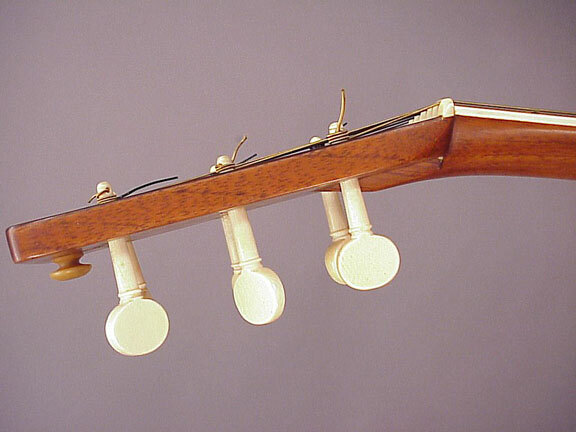 Notice the original hardwood bearing bushings which give the ivory pegs a good grip and smooth action.